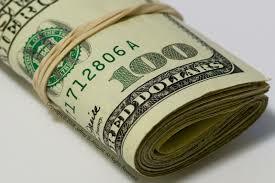 Cash is the life blood of every business, without cash, you are dead in the water. Fuel your company with cash, learn how to properly maintain sufficient funds to operate from time period to time period. Learn about cash flow, how to calculate cash flow, where to find cash, negotiate cash agreements and if it all works out, withdraw cash for the profits you have earned. This site and this page is designed to help provide information, guidance, and help for the small business owner. There are no quick answers to your questions and if you desire one … well, this is not the site. These articles are in-depth and educational in nature. Read them with the idea of learning like you did in school. A document indicating ownership in a corporation is often referred to as common stock. It identifies an equity position in a business. The document or certificate is commonly referred to as a security and provides certain rights to the holder (owner). These rights include voting and residual value upon liquidation of the company.